I’ve been diving deep into the wonderful worlds of daily streaming in Facebook Live and Youtube Live. Both platforms are amazing feats of technology: when else in the world could we use our smartphone and broadcast LIVE video to the world and connect with friends and strangers in REAL TIME!??! Without a professional (read: expensive) streaming system, one of the quirks of these Live events is the limitations of only being able to stream from your Smartphone. As a recovering audio-engineer-wannabe, I went on a quest to find the best external microphone for my iPhone and came across the Rode VideoMic Me. But what if your smartphone doesn’t have a mic input? This and other external microphones can often still be used, but will require an adapter. Other microphone options worth consideration are Rode’s Smartlav+ and VideoMicro (same sound – but different connectors). 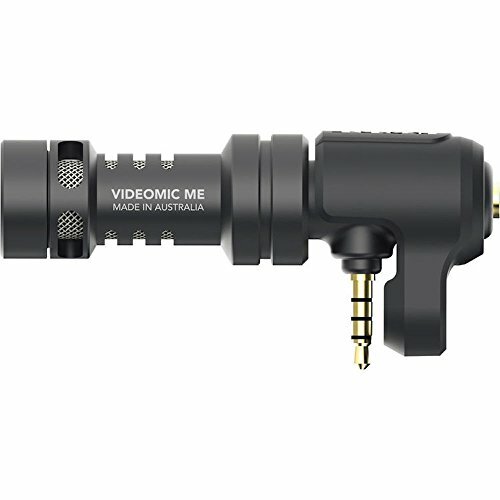 But if your smartphone has a microphone input, the VideoMic Me is an easy way to upgrade your audio.